This gorgeous boy had a long and desperate journey before getting to Sachi Animal Rescue. 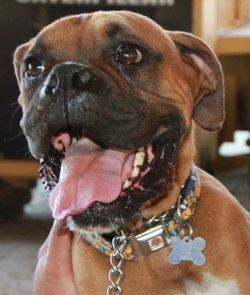 He was 'rescued" by another local boxer rescue two and a half years ago. 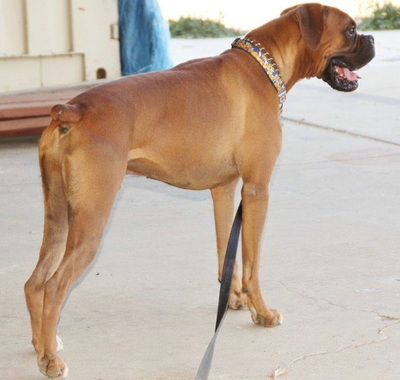 He came in to them a blank slate of a boxer, a goofy and active one and half year old boxer boy who needed some basic manners and socialization. He spent the next two and a half years in a run with minimum contact with both people and other dogs. Only a handful of dedicated core volunteers at that rescue would handle him because he was "too much" for others. As usual, when incompetence meets ego, the power that be at this so called rescue decided it was time for him to be euthanized, as they apparently do on a regular basis. Fortunately, the core volunteers would have none of that and worked hard to find an alternative. They contacted SAR and upon meeting Mr Apollo, I immediately realized that once again this poor dog was not aggressive but a victim of endless kennelization. Apollo is a typical example of incompetent people handling dogs when they shouldn't. This gorgeous boy is NOT aggressive, he is a dominant male who needs leadership from his people. 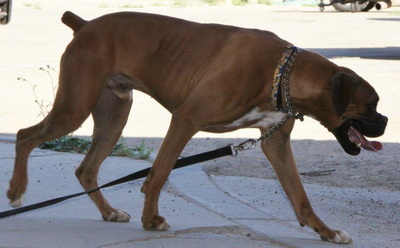 If you know the boxer breed, this is pretty much typical. Since we got him, he has made great strides. He has been introduced to strangers and has been not only a complete "gentledog" but a typical goofball boxer, wanting to play, kiss and be petted. He absolutely thrives on human contact and we are now socializing him with dogs. He has reacted quite happily to the Sachi girls, Kissy, Fiona as well as the more docile males like Boone and Bocephus. 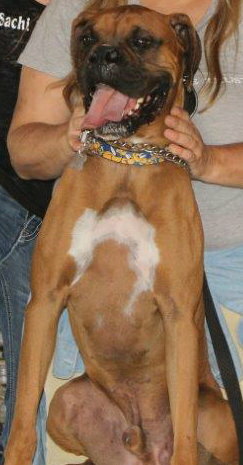 Apollo is available for adoption at www.sachianimalrescue.com and whoever ends up with this looker will be getting one of the most phenomenal boxers I have ever met. Apollo is not just intelligent, he is funny, playful, happy, resilient and ready to finally start his life. After waiting and waiting for no valid reasons for his chance at a happy life, he finally gets it. Apollo is the lucky one. So many more are enduring his fate with no hope in sight at some "rescues".